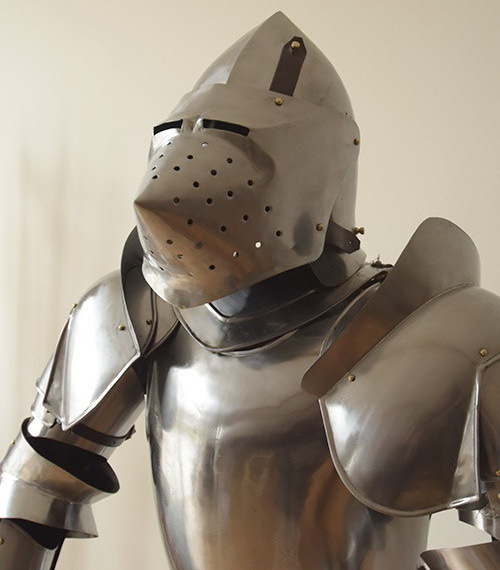 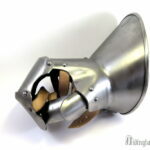 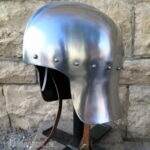 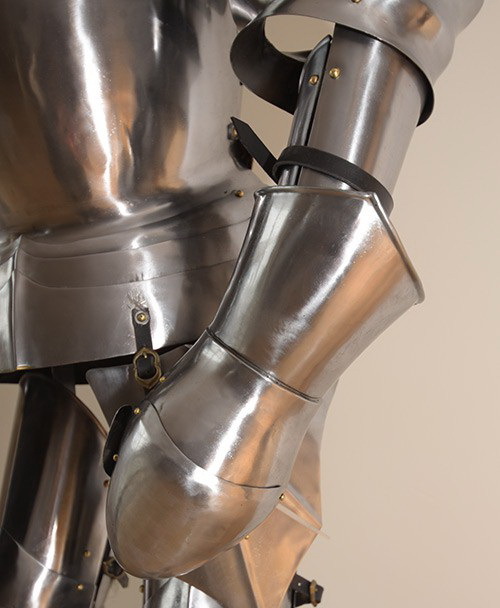 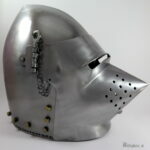 A late medieval complete armor, as it would have been appropriate for a Nobleman. The armor consists of a Bascinet (helmet), plate shoulders with swordbreakers, whole-arm bracers with elbow tiles, plate gloves, a chest and back cuirass, tassets, greaves with knee tiles and plate shoes. 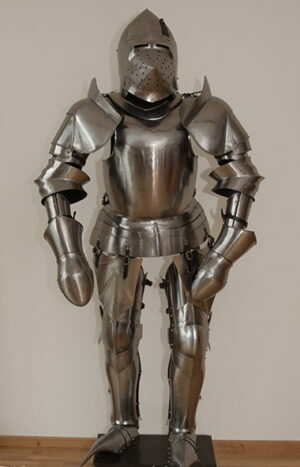 This armor is primarily a decoration piece. The armor is delivered including an exhibition stand, but also may be worn as well.